Houston’s Northside neighborhood is facing some of the toughest economic challenges in the city. In 2015, 33 percent of Near Northside residents lived below the poverty line: much higher than the 19 percent in Houston overall. Recent natural disasters have put already scarce resources for developing job skills further out of reach. Northside’s young people in particular face challenges finding opportunities that will give them a strong foundation for long-term financial security. At the same time, Northside’s young people are eager to look within their own communities, not outside of them, to bridge the poverty schism, develop talent and reinvest it in their home. 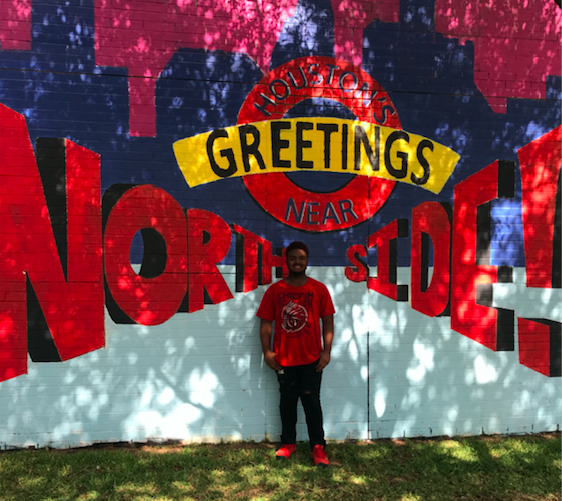 They need resources, investment, safety, and opportunities, all things that Young Invincibles’ Uplift Northside series this Fall sought to bring to the neighborhood. During this week-long event series community members participated in free, educational events on entrepreneurship, financial literacy, and job searching. The workshops touched on topics that directly and indirectly affect financial stability, like how to make the most of your health insurance, developing a stand out resume, and the basics of public speaking. Local businesses conducted job interviews and provided information about Northside’s fastest growing employment sectors. The week was rooted in a conversation about what’s next for Northside. One of those conversations was with Calijah Jones, an 18 year-old Northside High School student and aspiring chef who works between 25 and 35 hours a week at Sonic to help his family make ends meet. He has “regular” high schooler concerns, like losing touch with his friends after graduation, and very grounded aspirations, like turning his passion for cooking into a financially viable career and learning the front of house aspects of running a restaurant. But he knows that his community is facing an uphill battle towards financial security. He is clear eyed about the burdens of living in Northside– the constant police presence and ambulance sirens, the fights at school that he finds distracting, and the responsibility that comes with taking on the role of being a breadwinner at a young age- all scenarios that are hardly unique to Northside’s young people. Calijah reflects with a sense of maturity when asked about barriers to economic security in Northside: “You work to save up and then all of a sudden something happens and all your savings are gone. When your car breaks down, its like you have to use everything you saved up to solve your problems, and something always happens.” And while he has trouble seeing immediate opportunities to create more financial security for young people like himself, with Uplift Northside and his work with Young Invincibles he is hoping to take a first step towards developing skills and starting to give back, first to his mom, then to his neighborhood.